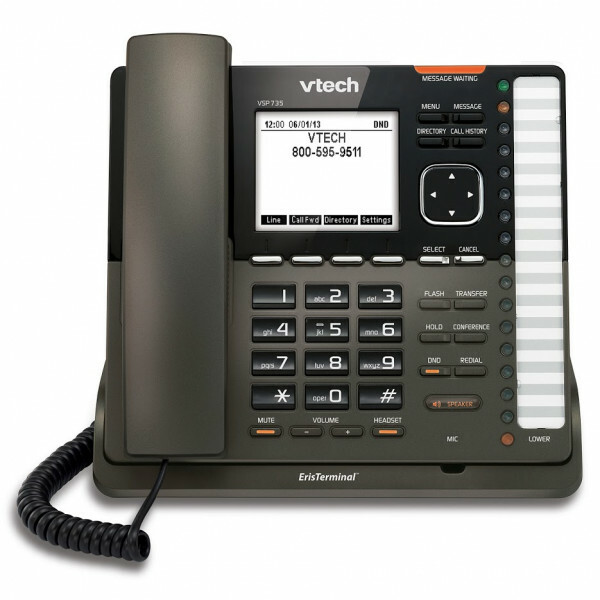 The VTech VSP735 ErisTerminal has an intuitive design for a user-friendly interface. 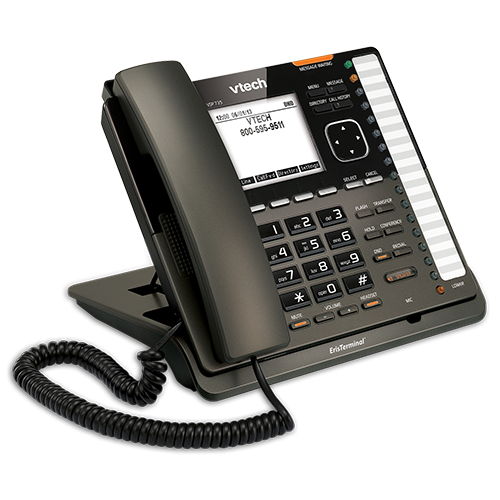 A 206x128 backlit display, 4 soft keys, and navigational pad make it easy to handle multiple calls on the 5 SIP accounts. 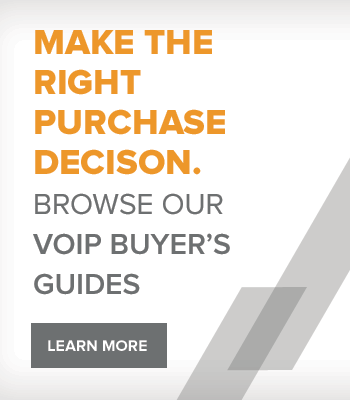 Thanks to the built-in DECT 6.0 radio, the VTech VSP735 can be paired to a compatible cordless headset for hands-free mobility and clear sound quality. 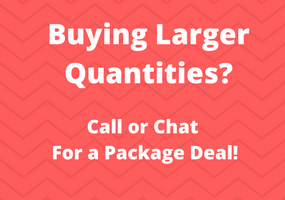 Program up to 16 dual-function feature keys for convenient access, including shared call appearances (SCA), busy lamp fields (BLF), quick dial and feature codes. 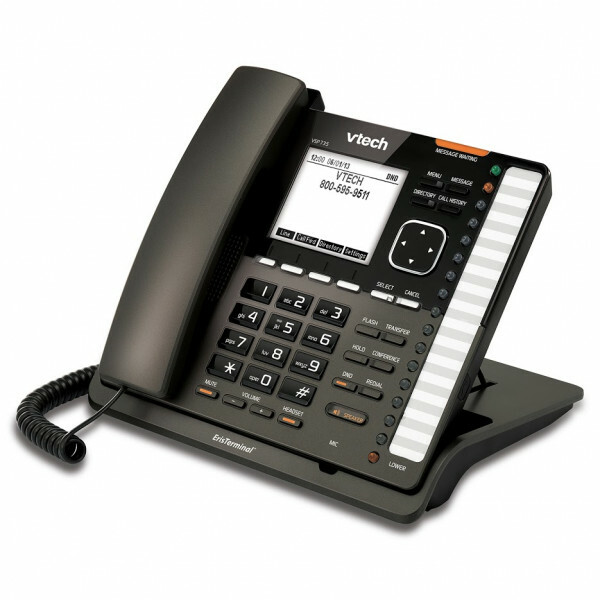 The VTech VSP735 is compatible with hosted and open-source PBX platforms, Broadsoft and Asterisk. Dual ethernet ports connect your desktop computer or laptop to the phone, and PoE support makes installation easy as you don't need to install the phone directly by a power outlet, but you can as an AC adapter is included.